Here’s a round up of some of the latest kit for road, gravel and mountain bikes. 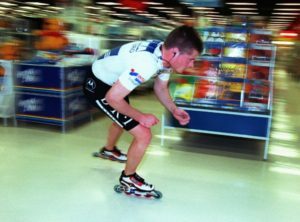 Twenty years ago, Danish skater Jacob Csizmadia broke the inline skating 24-hour world record, covering 505km wearing skates fitted with ceramic ball bearings, in what was a first for the sport enabling Jacob to be the first man to break the 500km barrier. 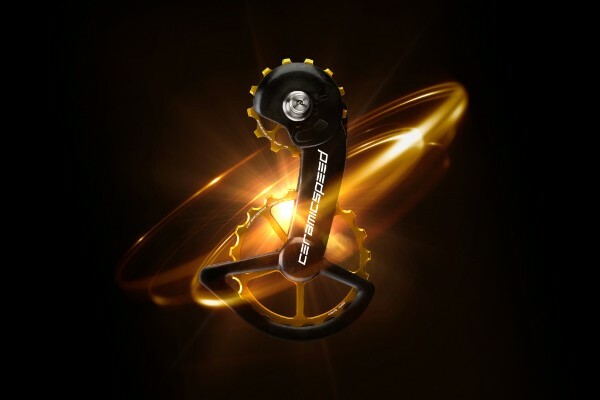 This was to prove the very beginning of what became CeramicSpeed and to commemorate the anniversary of this event the company has released the “Gold Limited Edition Oversized Pulley Wheel (OSPW) System and pulley wheels, which reduce friction in the drivetrain, wasting fewer watts and enabling cyclists to ride faster. CeramicSpeed’s OSPW Systems reduce friction in the drivetrain, wasting fewer watts and meaning more efficiency and speed, through a unique combination of superior bearings, oversized pulley wheels and quality cage design enabling high cage tension. Ceramic Speed is distributed in the UK by windwave. ENVE is pleased to announce that the all new, completely redesigned ENVECarbon Road Hub is now shipping. 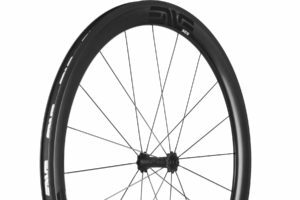 ENVE’s latest road hub features a one of a kind full-carbon hub shell that like all ENVE rims, is 100% manufactured in Ogden, Utah, USA at ENVE’s carbon manufacturing facility and headquarters. Cyclo have updated their 400, 405HC and 605HC with larger screens and extra features such as heart rate monitor and speed and cadence sensors. Billed as a complete bike navigation system they come with full European mapping for road cyclists. 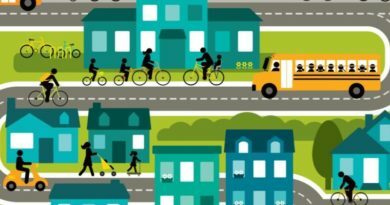 The Cyclo range also features a unique ‘Surprise-Me™’ feature, giving cyclists three separate routes to choose from based on time, distance or destination. The new lap function allows cyclists to challenge themselves and improve their performance on a ride. It also connects to MioShare and directly syncs rides with Strava™, allowing cyclists to analyse their performance and share with others. The devices also connect with the Shimano Di2 remote control for switching dashboard pages and start/stop recording. 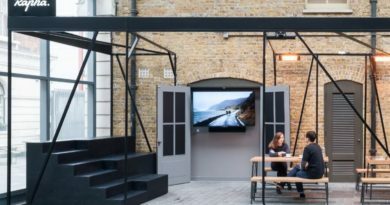 The Cyclo 405Hc and 605HC also show incoming calls or message notifications as well as on screen group messages from social apps (WhatsApp, Twitter, Facebook) via built-in Bluetooth™ smartphone connectivity. Mio are currently only sold via mainstream retailers but are keen to talk direct with any IBD’s who wish to stock their products. 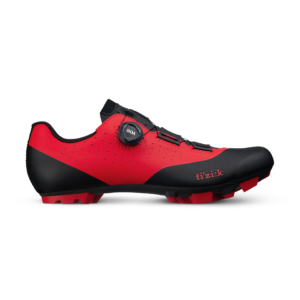 fizik’s new Vento X3 off-road shoes are here – light, tough, durable, easy to clean and efficient with the all-new Overcurve closure system. 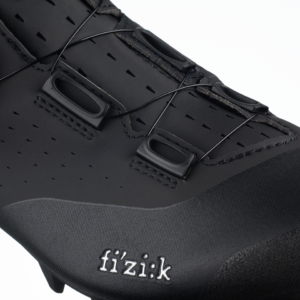 Fizik says it has chosen the best materials choice and production processes, to make a performance racing shoe designed in collaboration with professional cyclists on road and off-road It’s designed to meet the demands of all road footwear: a precise/comfortable fit, efficient power transfer and protection from the weather and the trail. 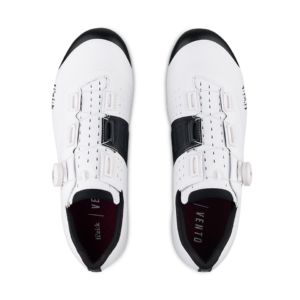 With minimal stitching and a streamlined upper that’s easy to clean Fizik are confident enough to offer a white colorway. The Mictrotex upper ensures the shoes are light but tough and protective from weather, dust and mud. Its closure is fast and secure, using a combination of a micro-adjustable BOA IP1 dial and a Velcro strap for a fine tune fit of the forefoot area – ideally suited to the rigors of off-road riding. “When we set about designing the new Vento Overcurve X3 we followed a very tight, yet very simple brief commanded by core cross-country racers: to fit your feet precisely, to transfer your watts efficiently, and to protect you from the elements. We’re incredibly proud of how we’ve delivered,” says Luca Mathia Bertoncello, fizik’s Brand Director. 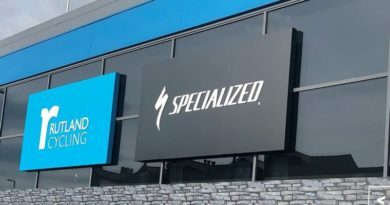 Fizik is distributed in the UK by Extra. CloseTheGap is an innovative Dutch design brand founded by ex-elite rider and tech editor Mathijs Wagenaar. 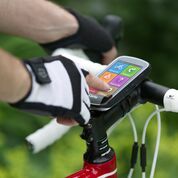 Its aimed being is a clever solution to hide your bike bell on a front bar-adapter that integrates the most common cockpit devices such as a GPS. 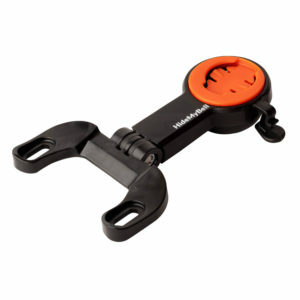 As well as fitting TT and regular road bar bikes, roadies with combo bars, now have their specific HideMyBell too. The new versions, updated for this specific bar+stem sets, mount the most popular versions such as the Canyon and Vision ones or the Wilier Alabarda. CloseTheGap say they are the only brand offering the all-in-one package for this typical cockpits. New for 2019 is the Insider, a specific solution dedicated to the mountain bikes too. It positions the bike computer right above the stem, to make sure it is well protected so that you don’t have to worry about your computer being damaged by branches and trees. The HideMyBell Insider also comes in handy when riding a marathon as it leaves space for a front race number plate. The HideMybell Insider comes with adapters for the major cockpit devices: Garmin, Lezyne, Mio, Wahoo, Polar, Sigma (ROX 12) & Bryton computers. Available online or in selected shops in your country, from mid-November on. Check the full range of HideMyBells on the brand-new website: www.closethegap.cc and find out more about the nearest dealer or local distributor.